GAA's panto spectacular is back for another year and YOU could be a part of it. Peter Panto auditions will be held on Sunday 24th June 4pm-7pm. 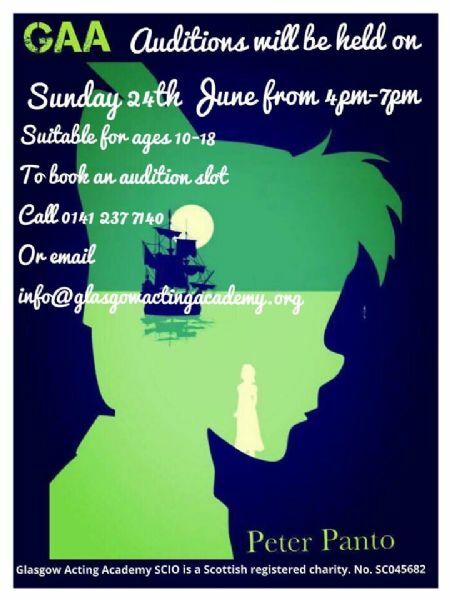 To book a place in the audition, please call 0141 237 7140 or email info@glasgowactingacademy.org. Auditions are available to ages 10-18.